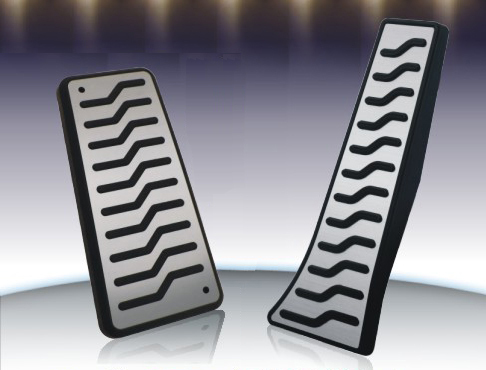 Medign brushed aluminum pedal set for 2009+ Genesis Sedan. Direct replacement for the OEM foot rest with fuel pedal overlay. Simple installation with no modification needed. Great dress-up accessory to add a unique touch to your interior. Shipping: This item is imported directly from our Korean office - please allow 10-20 days for delivery.